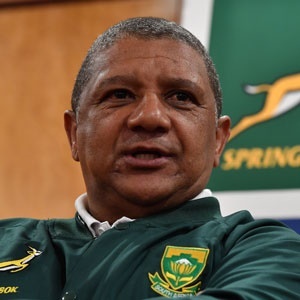 Cape Town - National coach Allister Coetzee could be sacked even if the Springboks remain unbeaten for the remainder of their European tour. READ: Bok ratings ... France were worse! This past weekend’s 18-17 win over France in Paris was Coetzee’s 10th victory in 23 Tests, which equates to a 43% win-ratio. According to Sunday newspaper Rapport, the performance clause in Coetzee’s contract states that he needs to maintain a 65% win-ratio. Failure would allow SA Rugby to relieve him of his duties without a so-called “golden handshake”. Even if the Boks were to win their remaining matches on tour against Italy and Wales, Coetzee would still be well below - at 48% - the required win percentage to survive. According to the Afrikaans newspaper’s sources, Coetzee is not going to survive when his contract is reviewed in December. It is believed that the record 38-3 defeat to Ireland earlier this month was the final blow to Coetzee’s hopes of staying in charge of the national team.